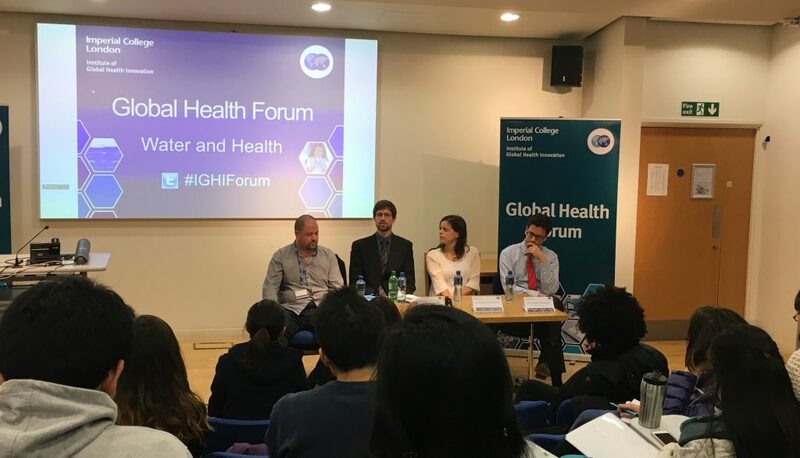 The first Global Health Forum of the year took place on 20 October on Big Data Decision Support. The event discussed big data in medicine and healthcare and the best ways we can use what is available. Watch the full event here. On 17 November we had our second Global Health Forum focusing on ‘Water and health’. Speakers included Dr Alexander Webb, Simon De Stercke, Dr Pauline Scheelbeek and Dr Michael Templeton covering a range in issues related to water such as salinity in drinking water and sanitation. The Global eHealth Unit at the School of Public Health is introducing a range of new training programmes in data science and eHealth for healthcare professionals expected to start in March 2016. 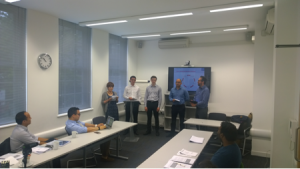 The Unit plans on delivering five new continuing professional development courses in 2016 as part of an ongoing partnership with the European Institute of Innovation and Technology (EIT Digital). · Governance and management of eHelath and mHealth initiatives in healthcare organisations. Each of the five new courses will be delivered via blended learning which will include five weeks of online training and two days of face-to-face interactive workshop style training in London. The face-to-face training will present students with an opportunity to explore the course concepts in depth, and consolidate learning. See programme website – https://gehu.training/FoM for more information about the courses, faculty and teaching schedule. The World Health Organisation (WHO) estimates that over 44 million children under five are either overweight or obese. At the same time in low and middle income countries one in five children are stunted due to poor diets. Malnutrition’s triple burden of stunting, micro-nutrient deficiency and obesity is a fact of life for many of the world’s children. The good news is that every school day 368 million children sit down to a school meal. This is important because we know from extensive research that school feeding is an effective way to fight malnutrition and improve life outcomes. Governments in sub-Saharan Africa are increasingly looking at ways to scale up sustainable school feeding programmes that source their food from local farmers. Known as Home Grown School Feeding these programmes can potentially act as a ‘win-win’ for local communities by providing free nutritious school meals to children whilst at the same time providing a market for the produce of local farmers. One such country is Ghana, which through its Ghana School Feeding Programme provides free school meals to over 1.7 million children every school day. To meet this challenge, Imperial College London’s Partnership for Child Development (PCD) in partnership with Dubai Cares is working with the government to pioneer a new approach that is tackling child malnutrition head-on by linking together nutritious school meals with community focused nutrition and hygiene training. Creating nutritionally balanced school meals using local ingredients is not an easy thing to do. This is doubly true when the children relying on school meals are from communities where food insecurity is high and malnutrition and anaemia are common conditions. 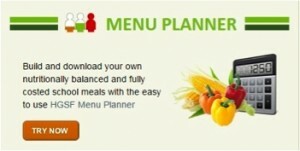 To help schools and caterers to develop nutritious school meals, PCD has launched a state of the art, easy to use web-based school meals planner which allows users to create and fully cost menus using locally available ingredients. By linking local market prices to the ingredients, the tool displays the actual cost of each meal to the user. With this information, programme managers are able to create accurate and realistic school meals budgets. The strength of the tool lies in its simplicity; you don’t need to be a nutritionist to create healthy nutritionally balanced meals. Gingerbread children graphics to show how much a meal is meeting the recommended daily intake of nutrients as identified by the WHO. The tool is designed to work in conjunction with ‘handy measures’ – everyday measuring utensils like buckets and spoons which PCD has calibrated to international standard units so that caterers can accurately recreate nutritionally balanced meals without having to buy expensive kitchen scales and equipment. One such caterer is Stella who has just been employed by the Government to cook for the 100 children that attend the New Mangonese Primary School on the outskirts of Accra, Ghana’s capital city, “I’ve learnt a lot in terms of how to prepare food hygienically and measure it out accurately so I’m cooking the right amounts”. Good child nutrition and hygiene starts at home. To ensure this, the programme is promoting healthier lifestyles by training 400 community based health and nutrition champions to take the healthy living message deep into their local communities. Through community meetings, the distribution of tens of thousands of health posters and radio jingles, community leaders and parents are being taught simple and practical ways to ensure that their children stay healthy and happy. As mother of two, Mercy Awonor from Accra, can attest these health messages are getting through to parents and children alike, “I always knew the importance of cooking my children healthy meals but I wasn’t always sure what food was good and what was bad. Now with all the posters around the village and the health messages on the radio I know the food I should be cooking. My children also know what is good for them”. PCD’s Executive Director Dr. Lesley Drake says, “By coupling high tech digital resources such as the meals planner with low tech community engagement, integrated school feeding and health programmes are vital if governments are to tackle the malnutrition crisis facing the next generation”. Professor Ali Mahmood Al-Shimmeri, the President of Jabir ibn Hayyan welcomed Professor Salman Rawaf, Director of P WHO Collaborating Centre for public Health Education and Training, Imperial College London on Wednesday 1st of April, 2015 at Jabir Ibn Hayyan University. Jabir ibn Hayyan Medical University is one of the first specialized Universities in Najaf, Iraq. It encompasses all kinds of medical sciences. 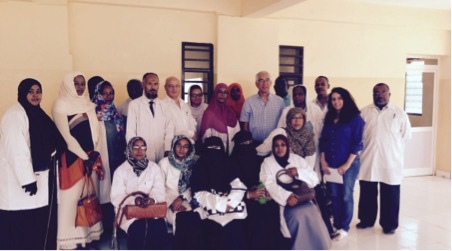 The Faculty of Medicine was established at the beginning of the academic year 2013-2014 involving 86 students who were centrally admitted, transferred or hosted from other universities. It is planned for the University to involve four faculties: Medicine, Dentistry, Pharmacy and Nursing in addition to a large university hospital and many other medical and research centres in various fields of medicine. The aim of the visit was to discuss the Hopeful Role of the Imperial College in Reviewing and Upgrading the Curriculum of the Faculty of Medicine to Meet the Highest Quality Standards. Professor Rawaf pledged to help and promised to exert his faithful efforts in order to achieve this mission. 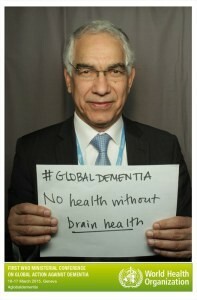 On 16 and 17 March 2015, WHO was hosting its first Ministerial Conference on Global Action Against Dementia. Ministers from around the world, as well as experts from the research, clinical and NGO communities, came together in Geneva for the first time to discuss the global problems posed by dementia. The aim of the conference was to raise awareness of the socio-economic burden created by dementia, and to highlight that this burden can be reduced if the world collectively commits to placing dementia high on the global public health agenda. The full meeting was webcast in Arabic, Chinese, English, French, Russian and Spanish. Imperial College London and the International College of Person-Centred Medicine are pleased to announce the 1st International Conference of Primary Care and Public Health to celebrate Primary Care and Public Health Achievements. Baroness Ilora Finlay, Baroness Sheila Hollins and Sir Al Aynsley Green are amongst the World and UK leaders in Primary Care and Public Health who will be leading the conference. The five central themes are: Primary Care in the 21st Century, Ageing and Ageism, Children and Adolescents, Integrated Care, and Public Health in Primary Care. Discussions will cut across the four major disciplines of education, training, research and clinical practice. The conference will be held at Imperial College London, South Kensington Campus, from 29 to 31 October 2015. Professor Salman Rawaf, Director of Who Collaborating Centre for Public Health Education and Training gave a presentation at the Conference organised by the Royal College of General Practitioners. The presentation: “A family physician for every person in the world: why we are failing globally” stressed that after thirty years of Alma Ata, the WHO World Health Report: Primary care – now more than ever, in 2008 re-focused the attention on the need of developing and strengthening primary care around the world. However, achievements since then are limited to patchy examples. The talk also addressed the question why countries are reluctant or unable to develop their health system through primary care where every citizen has access to fully trained doctors who take care of health and healthcare needs. The number of trained family physicians needed in one of the WHO regions is projected to illustrate the magnitude of the tasks involved in developing primary care services that achieve the goal of universal health coverage. Guidance and suggestions for policy and decision-makers, health professionals, and civil society institutions will be offered, with the aim of maintaining and improving health to the highest of standards through effective primary care services. 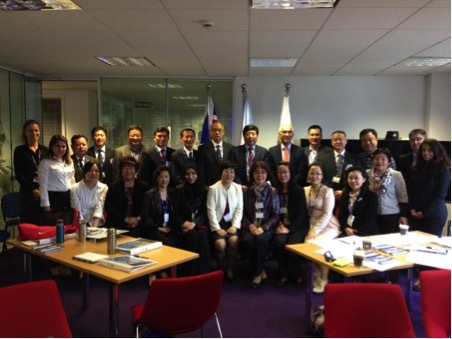 The Department of Primary Care and Public Health (PCPH) at Imperial College London recently hosted a Palestinian Family Medicine delegation during their 4-day visit to the UK (4-8th March 2015). The visit was organised by the International Development of Family Medicine in Palestine (IDFMP), which is a collaborative initiative by UK GP academics. 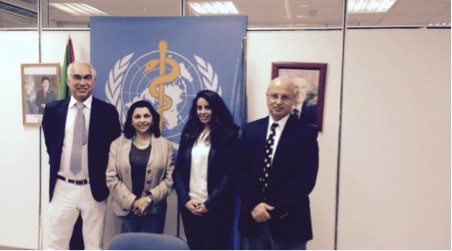 The aim of the visit was to orientate delegates to UK general practice and participate in the first RCGP Global Health ‘Family medicine: global impact’ conference in order to foster the development of a shared vision of family medicine training in Palestine. The delegates met Professor Salman Rawaf, Director of the WHO Collaborating Centre for Public Health Education and Training and there was lively discussion about shaping and developing family medicine in Palestine. At the request of Dr Alexandra Zachou — consultant urologist Imperial College Trust, Dr Sondus Hassounah, delivered a presentation at the Urology Department afternoon educational seminar showcasing the work the WHO CC undertakes. The presentation provided a brief overview of how the WHO CC was established and highlighted some of the projects the centre has been involved in since its designation by the WHO, with the support of the British Government, in 2007. The request to deliver this session stemmed from the urology departments’ interest in global health work and keenness to expose their faculty, staff and students to the broad application of public health and health system strengthening in a global context. 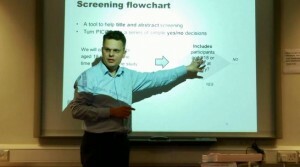 On Thursday 30th April 2015, our PhD students and fellows attended a one-day course on Systematic Reviews, given by Dr Holger Kunz. Through highly interactive and practical sessions, they learnt about why systematic literature reviews are so important in Public Health, how to develop a research question and a protocol, and the steps in conducting a systematic review – from literature search to selection of studies, quality appraisal, data extraction, meta-analysis and textual synthesis. What is the link between Ebola outbreaks and Health Systems? This is a question which needs to be asked in order to understand how this virus came to find its way around the globe in a matter of months. This topic must be scrutinised and assessed to help draft future recommendations for bridging current gaps in the health systems of vulnerable countries and eliminate the emergence of future outbreaks. 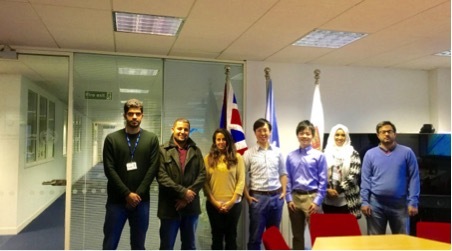 Dr. Haitham Shoman, who is studying his Master’s in Public Health at Imperial College London, prepared a poster on this subject and presented an overview at the Chevening Conference in Durham University on Diplomacy in the 21st Century that took place in Durham on the April 17th 2015. This was a fantastic opportunity to present such a cutting edge topic and educate high profile delegates, particularly those from non-medical backgrounds. His presentation drew a great deal of interest and questions from different participants. Support was given from Imperial College WHO CC. The dissertation he will be carrying out this summer, to be supervised by Professor Salman Rawaf, is centred on finding the link and grasping the roots of the problem, assessing information from a wide range of sources and reaching conclusions on how to mitigate such problems. A particular sense of urgency surrounds the spread of such diseases due to their potential to perpetuate poor health, poverty and inequality in some of the world’s most deprived countries. Living in the 21st century with globalisation and increased connectivity, countries with weak health systems should not be left behind as health is a fundamental human right and not exclusive to those living in the developed world. Strong health systems need to be established with proper communication and partnerships to avoid the progress of Ebola and avoid the emergence of new outbreaks. A study lead by Dr Sonia Saxena showed fewer complications and readmissions at specialist centres compared with District General hospitals for children having appendectomy: Annals of Surgery. Listen to Sonia talk about this research on the Imperial Podcast. We published a paper in that showed a halving in 5 year perianal surgery rates among patients with Crohns Disease who had sustained treatment (over 18 months) with immunosuppressant drugs: Inflammatory Bowel Diseases.